The La Brea Tar Pits at the George C. Page Museum in Los Angeles, CA is literally filled with history that spans back 40,000 years. You wouldn’t think that in the heart of a thriving metropolis like LA, there’d be ancient history to be discovered, but here at the La Brea Tar Pits you can see Paleontologists at work in the Fossil Lab, cleaning and sorting through all the newly found fossils. This museum currently houses 3.5 million fossils of countless different species. The Tar Pits actually aren’t even tar, they are asphalt deposits that resemble tar. 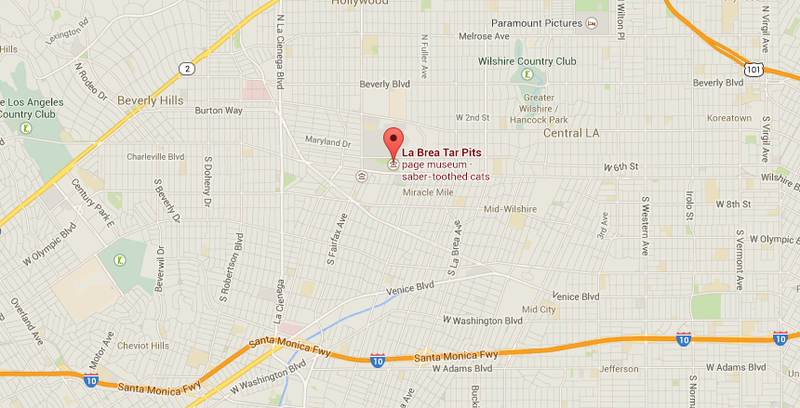 The La Brea is a site specific museum, meaning that all the artifacts and bones here are from the Tar Pits on site. 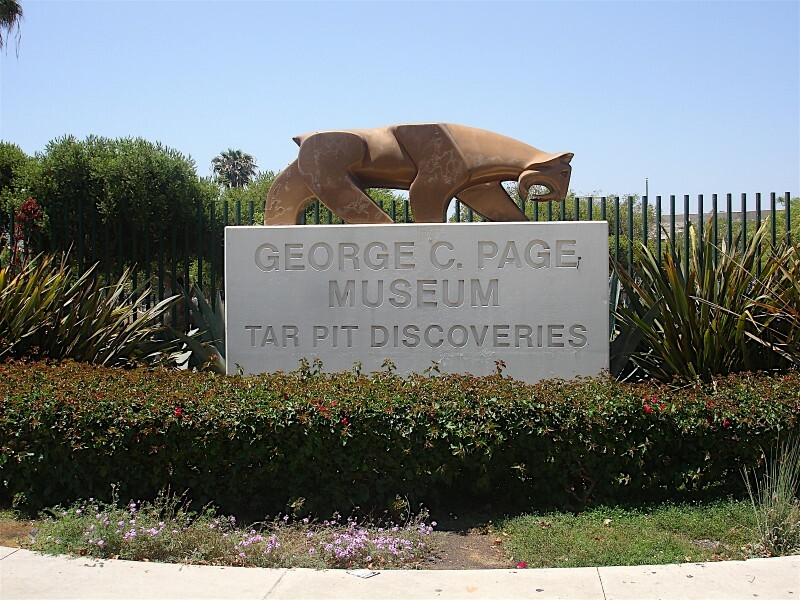 Back in 1977, George C. Page invested in the Tar Pits to have ongoing excavation of the site, as well as, showing off the fossils in the museum for the public. Page wanted this museum to be site specific so all of the fossils found while excavating could be displayed in the museum. He partnered with Los Angeles County to get this unique and groundbreaking museum started. Digging in the dirt. Forty thousands year old dirt. Los Angeles may seem like a modern city, but the La Brea Tar Pits show otherwise. There are many different species that are being found at the La Brea Tar Pits and as they keep on digging they expect to find new discoveries every day. Some of the popular species found here include the Dire Wolf, Camel, Condor, Ground Sloth, and the most common, Smilodon (Saber-toothed cat). Over 2,500 Smilodons have been excavated from the tar. All of these species are found while excavating at the Tar Pits and are display in the museum. 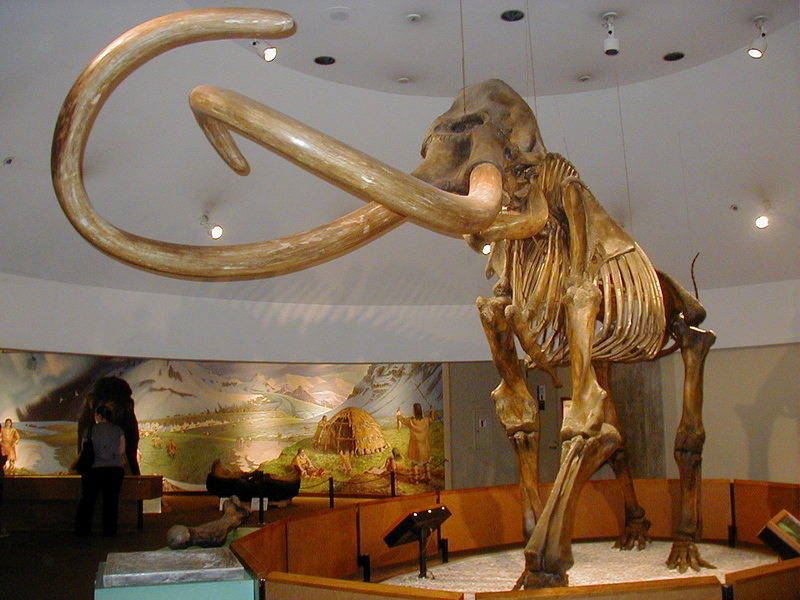 In the exhibits at the George C. Page Museum you will see over one million Ice Age fossils from 650 different species. These fossils can range from a tusk of a Columbian Mammoth to a tooth of a baby mouse. The Fossil Lab in one giant fishbowl of Paleontologists and Lab Volunteers cleaning and picking through all of the fossil that have been excavated. 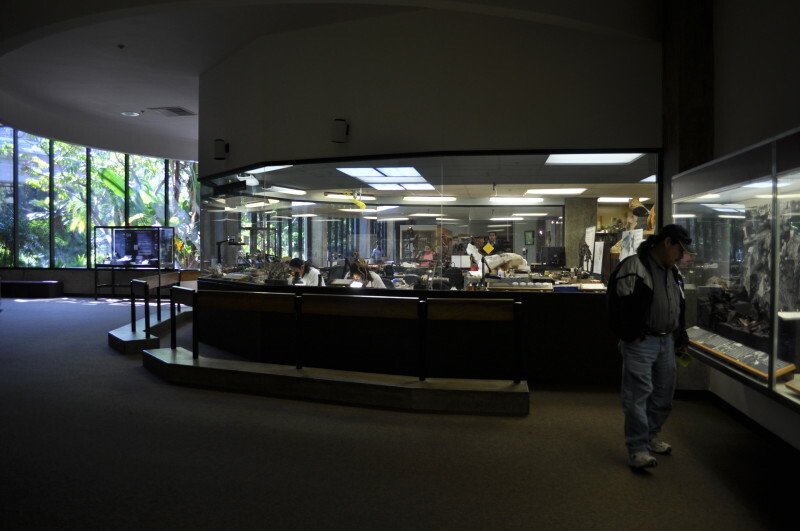 People visiting the museum are able to watch the cleaning and sorting process through a large window. The fossil lab is open 7 days a week and shows that this museum is always looking for new fossils to show the world. 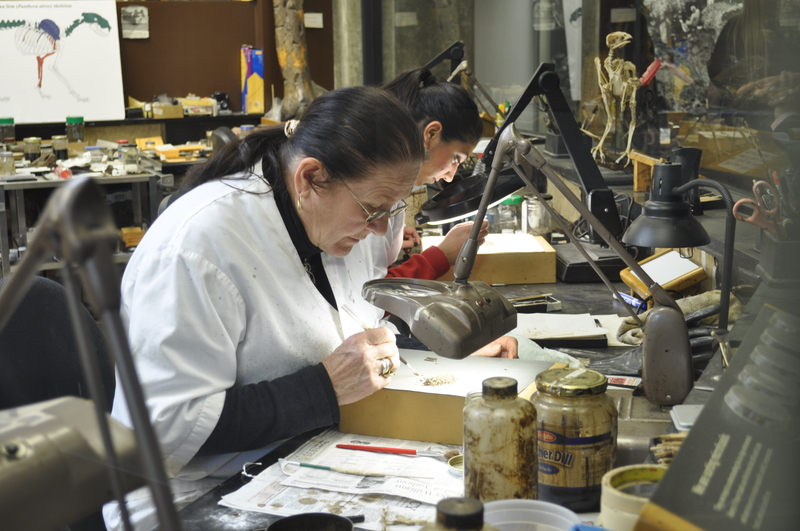 In the fossil lab you’ll find many fossils from 11,000 – 44,000 years old being cleaned and sorted. There are fossils of dire wolves, lizards, pigeons, hawks, and rabbits as well as the bones of “Zed,” a near-complete Columbian mammoth. The process the Lab Volunteers and Paleontologists go through starts with cleaning of the fossils with dental picks and a solvent that separates the asphalt from the bone. After each bone has been in the solvent for a few days, it is rinsed and dried and ready to be sorted. After being sorted the fossils are cataloged and identified for an electronic database of every bone in the museum. Anyone over the age of 18 can become a Lab Volunteer at the La Brea Tar Pits after a long training process. Currently the George C. Page Museum has 65 Lab Volunteers ranging from 18 to 90 years old. The requirement for becoming a volunteers is 96 hours in the lab learning about the fossils and how treat them. Once you’ve completed this process you will be cleared to dig outside and take part in the excavation. These volunteers contribute to around a total of 200 hours of work per week. Without many of these volunteers, you might not be seeing all of the fossils in the museum. Hours: Open 9:30 am to 5 pm every day of the year, excluding major holidays. 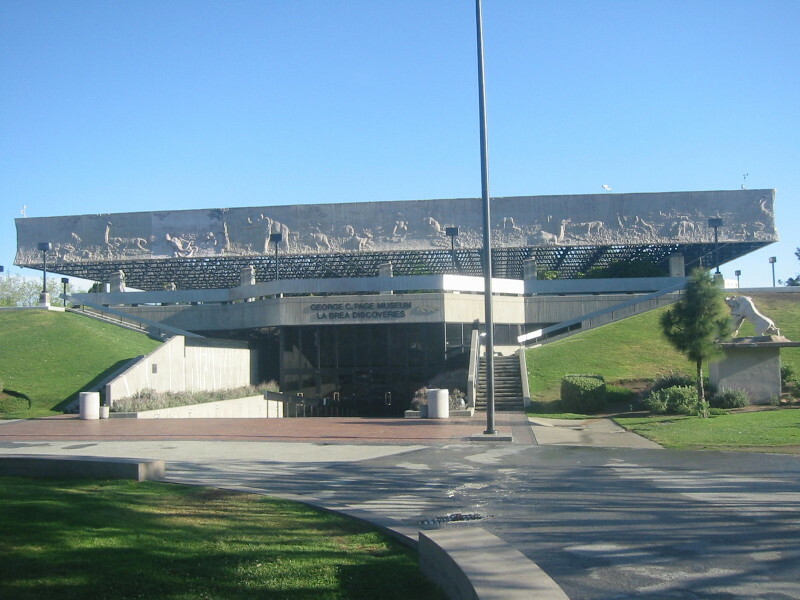 For more information on the La Brea Tar Pits visit their website.